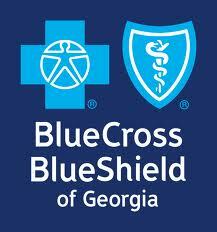 Blue Cross Blue Shield of Georgia (BCBSGA) just announced that current and new members can lock in a plan this year that will keep the same rate until December 1, 2014. This is for individual and family plan members who joined after March 23, 2010 -as plans initially purchased prior to this date may keep their coverage. This is a clever way for people who donâ€™t want to join the new ObamaCare Health Exchange immediately but want to continue coverage. This loophole works because most providers have policy end dates of one year. So if a member renews by December 1, 2013 they would be able to keep their plan for one more year. After one year these plans will automatically be transitioned into an off-Exchange plan. BCBSGA says that members may at that time opt for any off-Exchange plan or for one of the on-Exchange plans: Bronze Plan, Silver Plan, Gold Plan, and Platinum Plan. This gives members options to merge onto other plans. Want to Keep Your Current Plan? If you have a BCBSGA plan and want to keep your current coverage until December 2014, please contact 800-930-7956 for assistance. If you currently do not have coverage with BCBSGA but want this option to have private coverage at least until December 2014, get a Blue Cross Blue Shield of Georgia Quote and apply online. Please save us from old people and computers while you’re at it. Thank you. Please do something to save us from selfish people who don’t want Obama care and make stupid comment in your page. I do want to renew BCBS of GA as long as I can. Please advise the rate for this. Thank you so much for writing to us. For your specific rate please contact an agent at 800-930-7956.